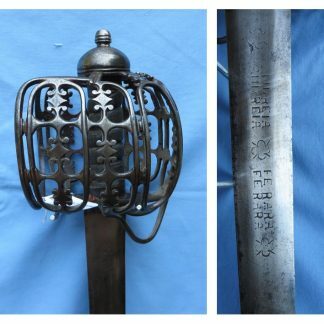 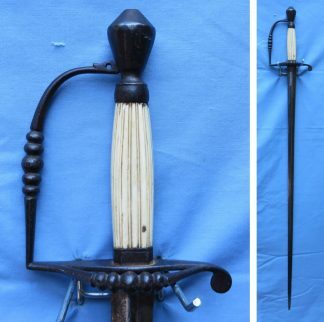 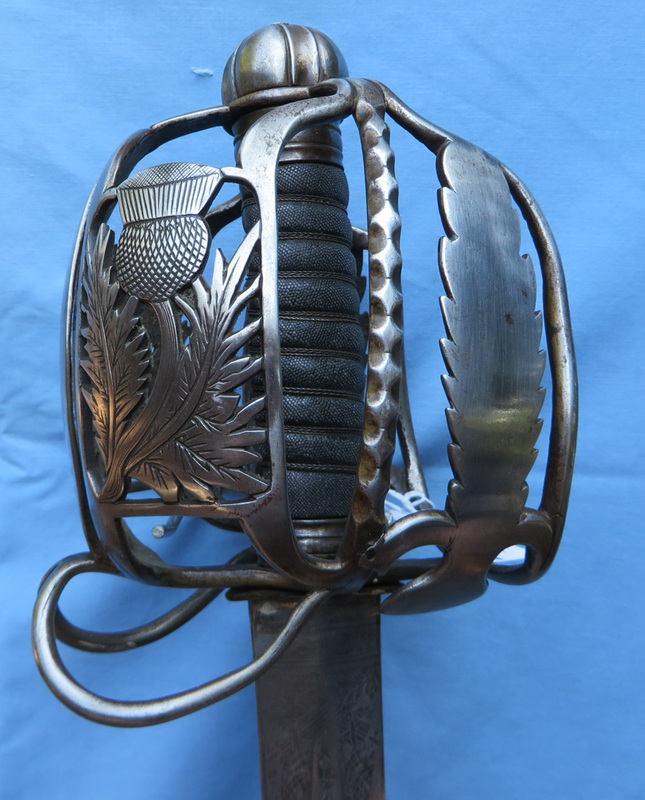 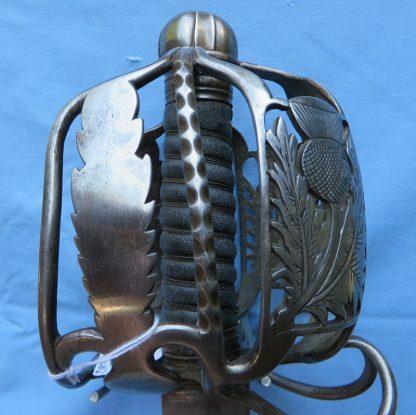 An antique Scottish basket hilted sword. 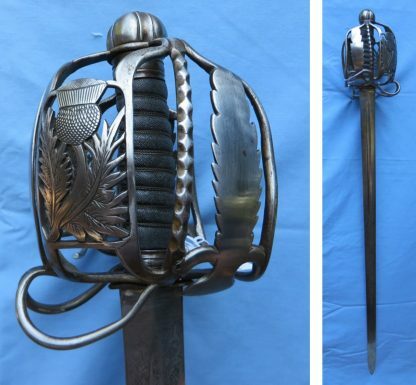 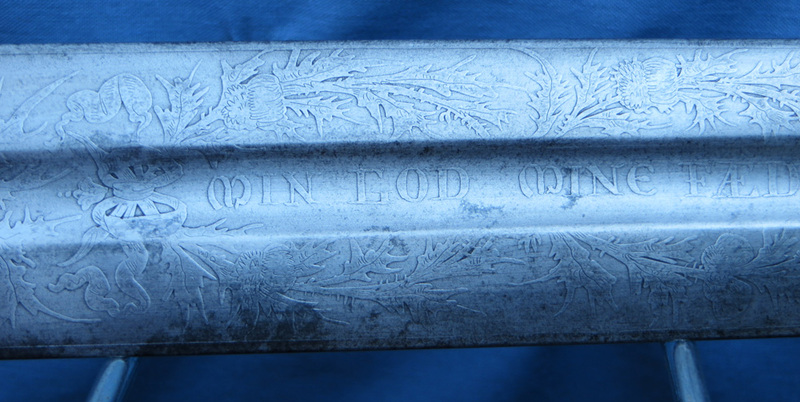 The hilt features a pierced thistle. 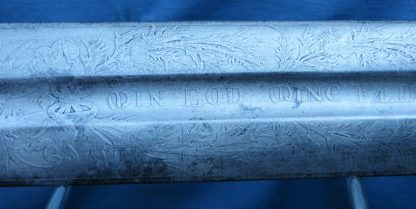 The blade is thoroughly etched with highlanders throughout the blade. This sword is from the Alan Bateman Collection.